Off we head to a new season of wonder! For me, it’s been another tough year, since rain has been rather skimpy at my end of the cloud. One bright spot was ‘Mystery Crinum’ that finally bloomed. Now, that’s not its real name. 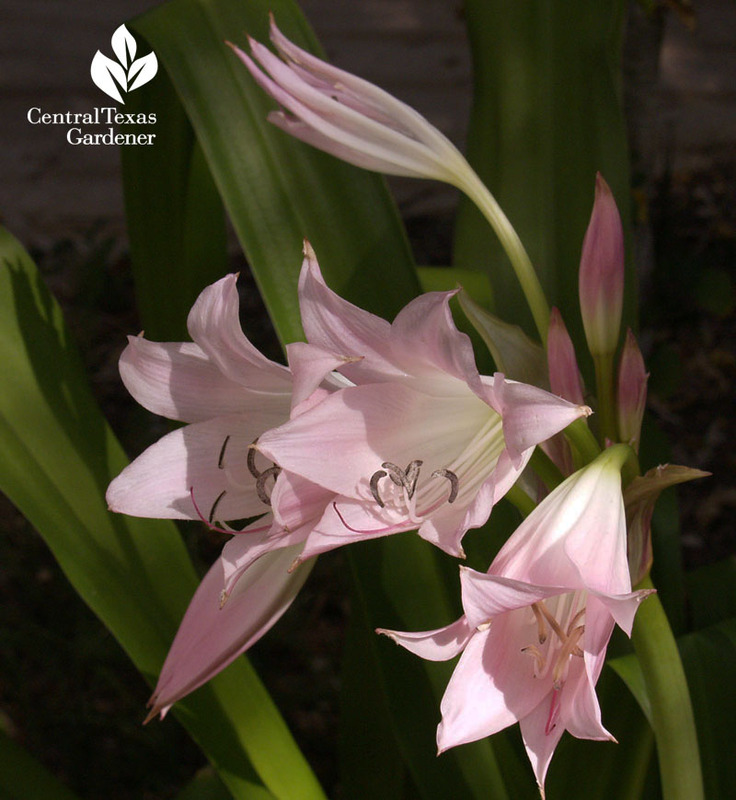 In 2008, Yucca Do sent a free small bulb along with a crinum purchase. They couldn’t give it a positive name stamp, so maybe I’ll call it Crinum roseus ‘Dolinpatience’. 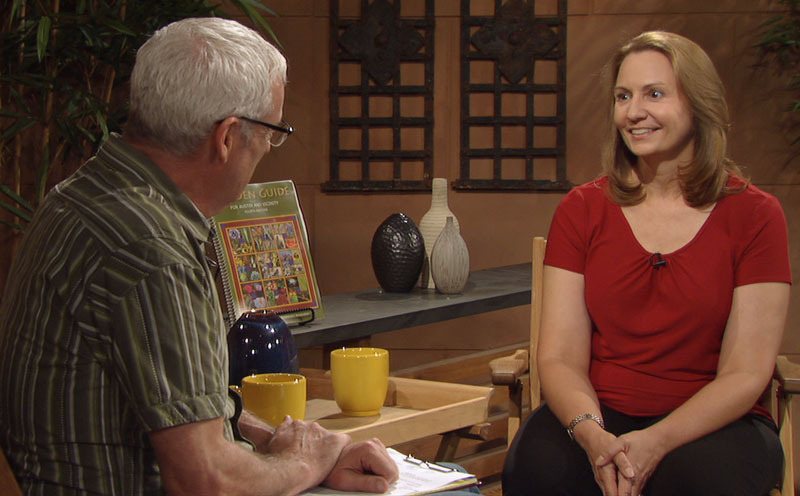 I am getting excited about fall vegetables, thanks to Master Gardener Ally Stresing. This week, she joins Tom for absolutely easy-peasy tips to fill your plate with organic food this fall and winter. And more! Do check out her blog, which covers just about everything under the garden sun. With great photography and precise info, she details projects, ornamentals, succulents, vegetables and even chickens. Are you surprised that I got a kick out of her Bunny Poo Express post? It’s about one of her runs to haul litter from Austin’s House Rabbit Rescue. As I well know, bunny poo can go directly into the garden without composting to nourish crops, like her artichokes. 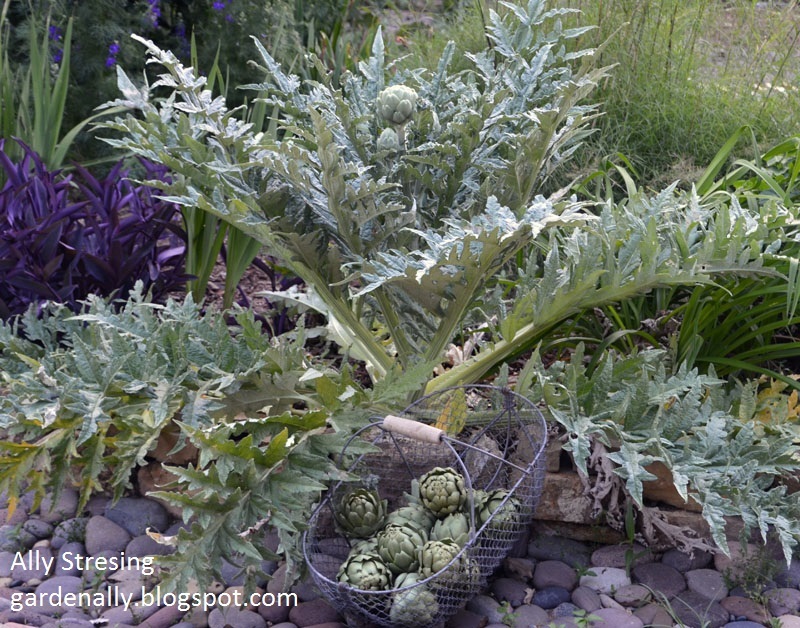 Oh, on artichokes: Ally recently got new transplants and potted up to 1-gallon containers. She prefers fall transplants over bare root in January, since it gives them more time to grow. (Ditto that for planting trees and fall perennials). 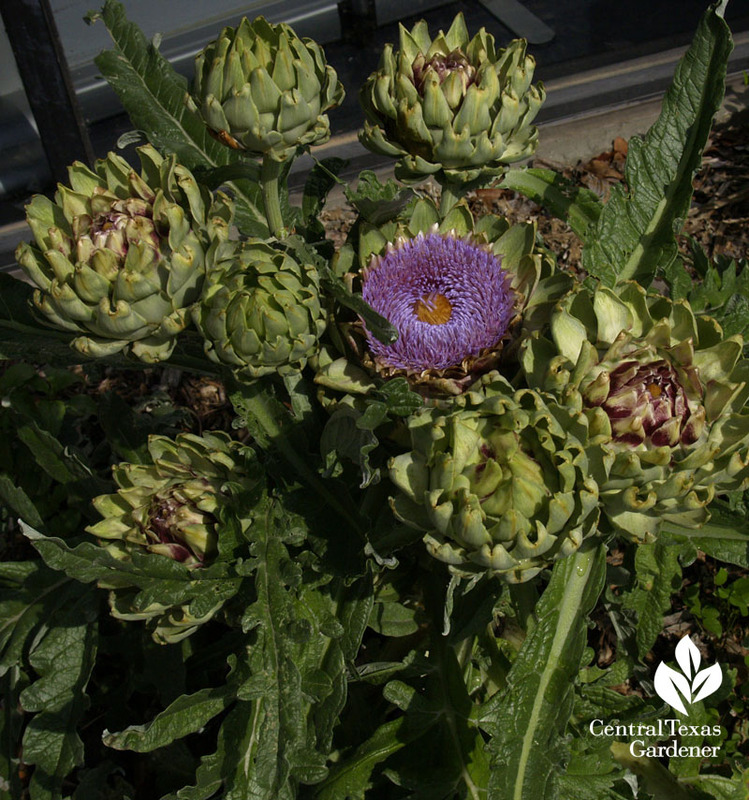 Find out more about growing artichokes as Daphne’s Pick of the Week. At the Travis County Extension demonstration gardens, they’re a delight for food or flowers along with year-round foliar attention. Note: they do need protection in a hard freeze. 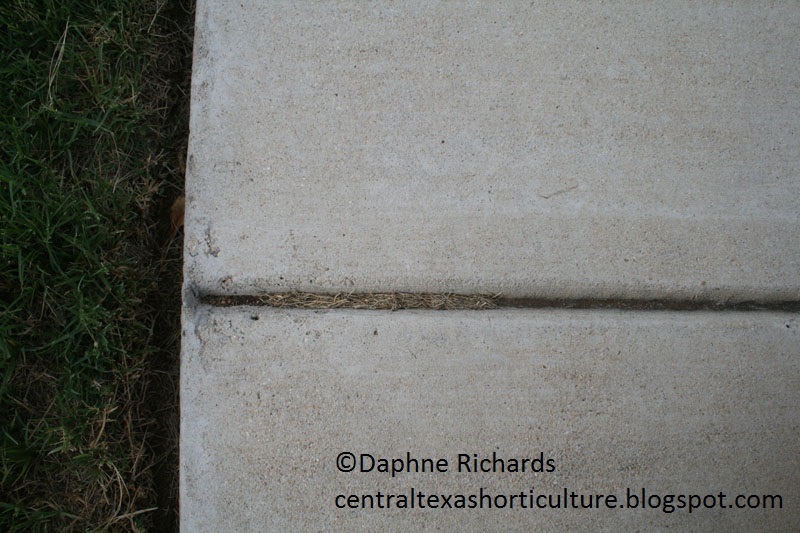 Daphne also shares her pet peeve: weeds in sidewalk or hardscape cracks. I’m so with her. Now, as she explains, you can do the 10 or 20% vinegar routine. Usually, you’ll have to get that percentage at nurseries, not the grocery store. BUT, don’t think that’s a quick fix. Find out why and how to avoid the problem in the first place. 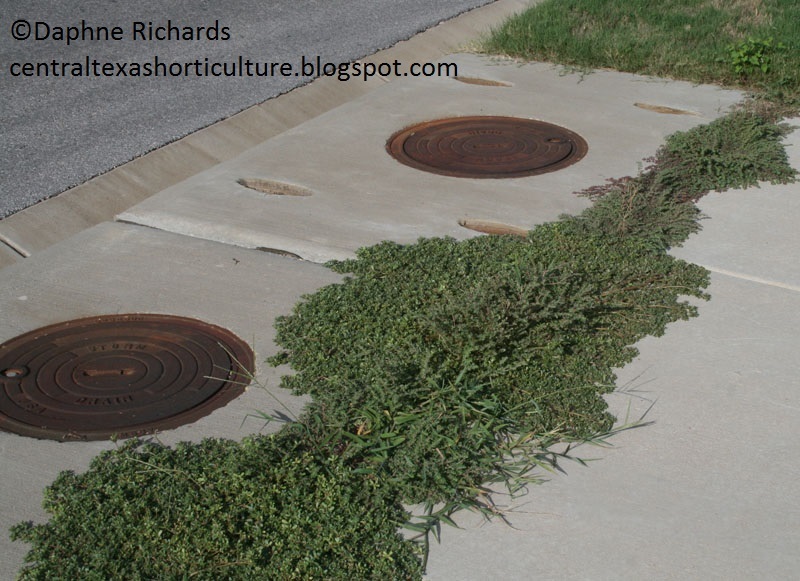 And she reminds us not blow grass clippings or other yard debris into the gutters and the storm water systems. 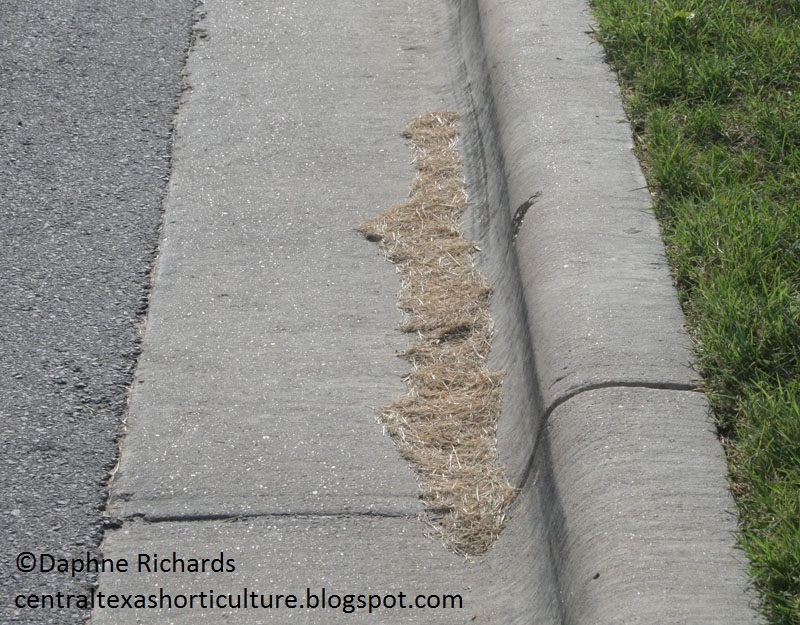 Instead, keep them on the grass to return nutrients back to the soil as free fertilizer. John Dromgoole is into recycling, too. 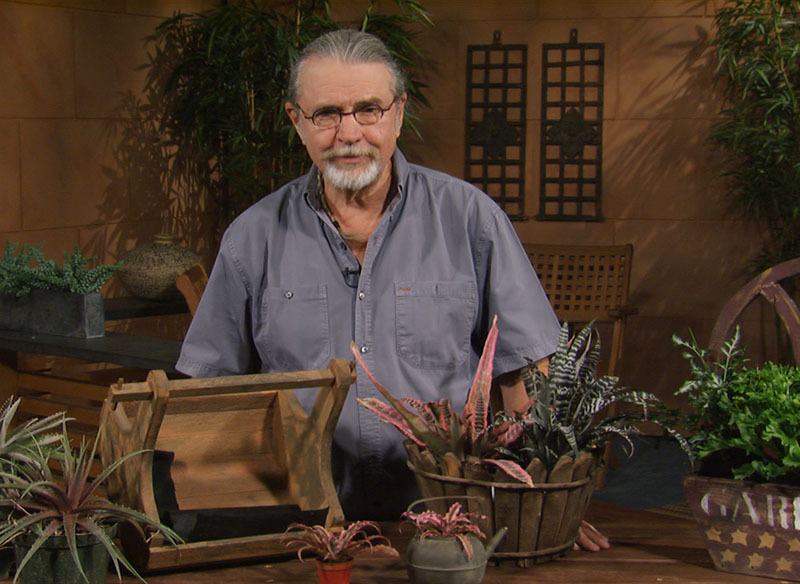 This week, he styles up repurposed containers for charming, low-care homes to bromeliads and dyckias. On tour, our visit with the next generation of gardeners at Wells Branch Elementary will banish the hot weather blues!